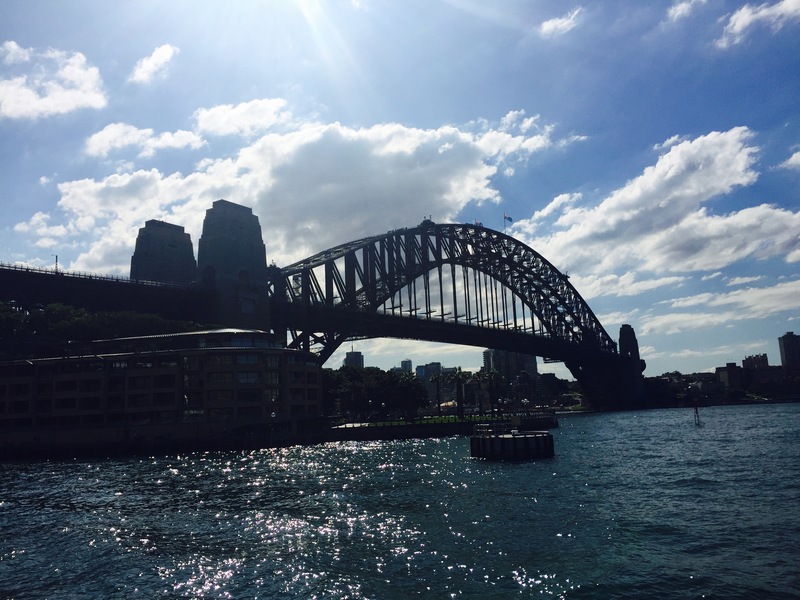 Iconic Sydney is the city that you dream about when you think of Australia and it was surreal actually being there. Overall we spent 5-6 days here but you could (and should) stay longer if you can. The city is leafy and green, while being built up and bustling at the same time. It’s the kind of place that you automatically want to live and work, with beautiful houses and equally beautiful people; all suited and booted and walking around like they have a purpose. I spent the entire time feeling like such a scruff bag! 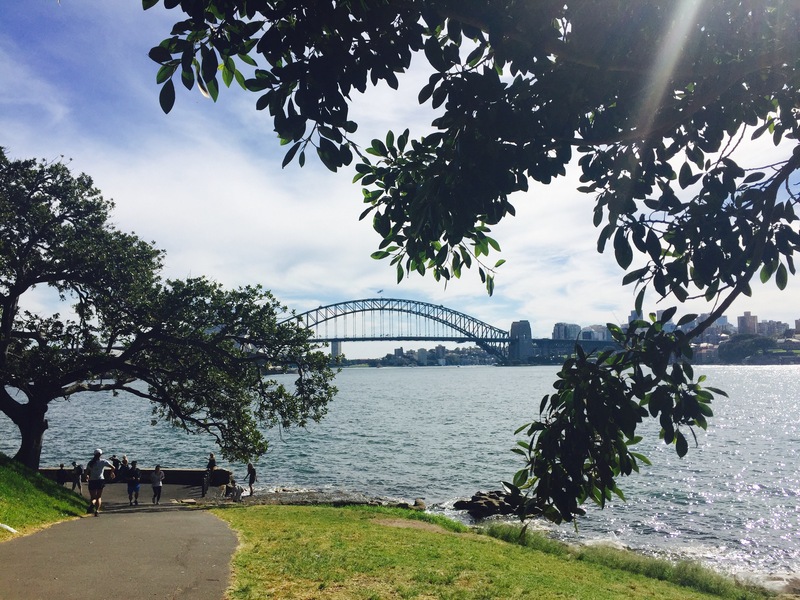 On our first day in Sydney we did this and it was beautiful, although get ready to feel super guilty about the amount of exercise you do! This waterside walk is a common running track for business folk during the lunchtime hours and it genuinely feels like you’ve just walked into the middle of a marathon route – it even made me feel like running and that is not the norm. Mrs Macquarie’s point has beautiful views of the Opera House and the Sydney Harbour Bridge and makes for a perfect photo op. 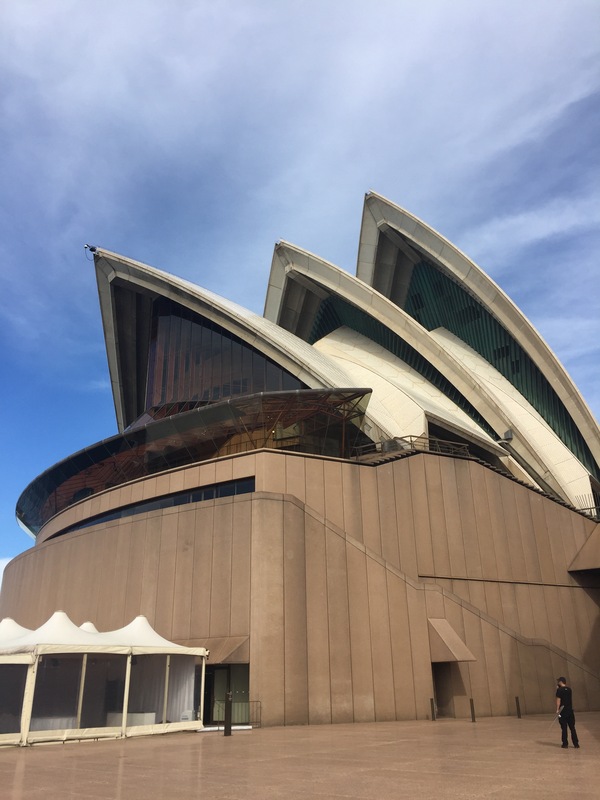 Over the few days we were there, we made sure we crossed the harbour bridge as many times as possible (both by train and foot) and went to explore the Opera House up close. It’s not until you do that you can truly appreciate how unique and amazing these structures really are, and why they make Sydney Sydney. Yes it’s bloody expensive but if you can afford it, do it. We climbed at around 4pm and got some absolutely breathtaking views of the city lit up at night. There’s nothing quite like it! I am not that keen on ladders and heights – I cried at GoApe, but I found this very safe and easy. Equally if this isn’t for you, one of the towers on the bridge is open daily for visitors to climb and has equally good views. Entry is $15, or you get a free pass when you do the climb. There’s also heaps of information and history about the construction of the bridge, which makes for an interesting read. This may sound like a weird one but I love food, and this food court is one of the best things I have ever seen. It’s underneath part of the Westfield shopping centre and has everything from fast-food to amazing Asian cuisine, pastas and salads… basically you name it, it’s there. All for a really good price too. On our second day in Sydney we wandered across the bridge and came across a great little fish and chip shop with an ice cream place opposite. 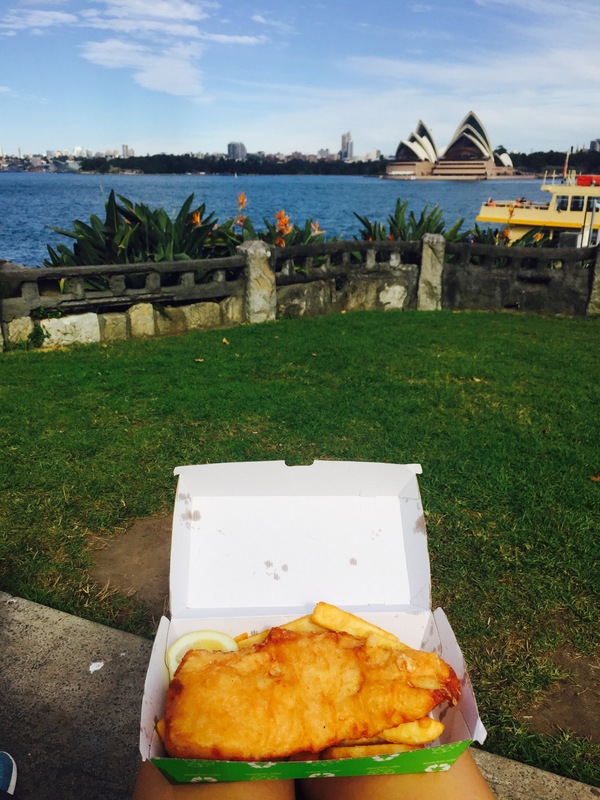 We chose savoury and walked down to the waters edge to eat while overlooking the Harbour and Opera House. There aren’t many times that you get to have a lunch view that good! On one of our last days in Sydney we met Matt’s friend for lunch and drinks in Paddington, a beautiful eastern suburb a short train journey away from Sydney centre. I loved walking through the tree-lined streets in the sun and there are also some beautiful boutique shops along the high street. We got a bus to Bondi from the centre of the city and spent the afternoon there. It was a lovely day but the wind was so strong that I needed jeans and a jumper! 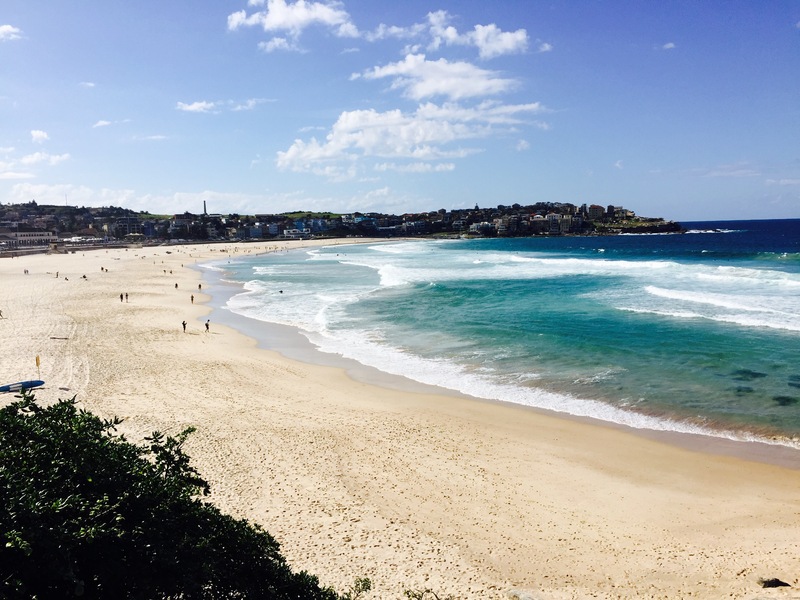 We did the coastal walk to Bronte which was so pretty but if you have time I would recommend going further to Coogee. We planned to do the longer walk but I had pulled a muscle in my leg the previous day and it wasn’t having any of it. We went on a weekday so the beach was a lot quieter than we imagined and I think I preferred it that way. The illustrations on the walls of the walkways are pretty impressive also! 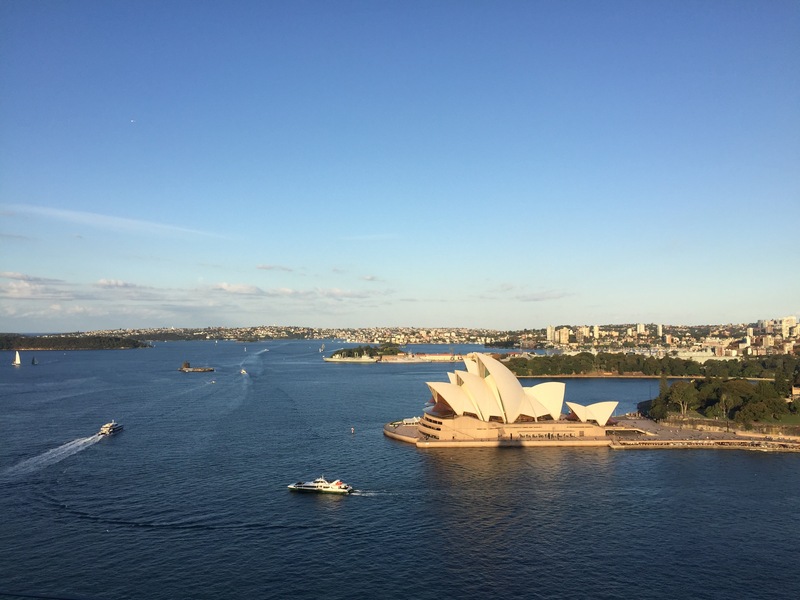 Incidentally, there are so many other amazing things to do in and around Sydney and I’m sure we didn’t even cover half of it. This has got to be one of my favourite places so far in Australia and also one of my favourite cities of the whole trip! I can definitely agree walking the bridge is breaktaking.